FANBOY PLANET.com . 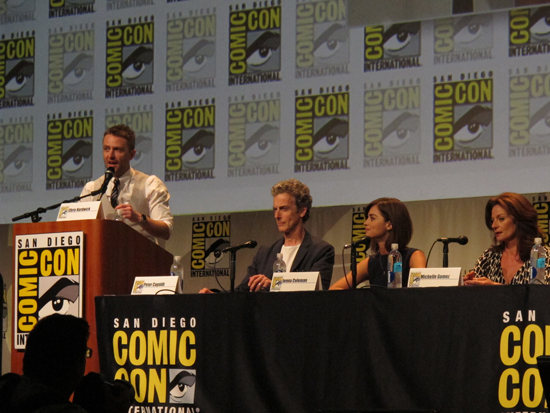 : 2015-comic-con-doctor-who-panel :. If any outsider has a right to moderate the panel for Doctor Who, it would have to be The Nerdist himself, Chris Hardwick. 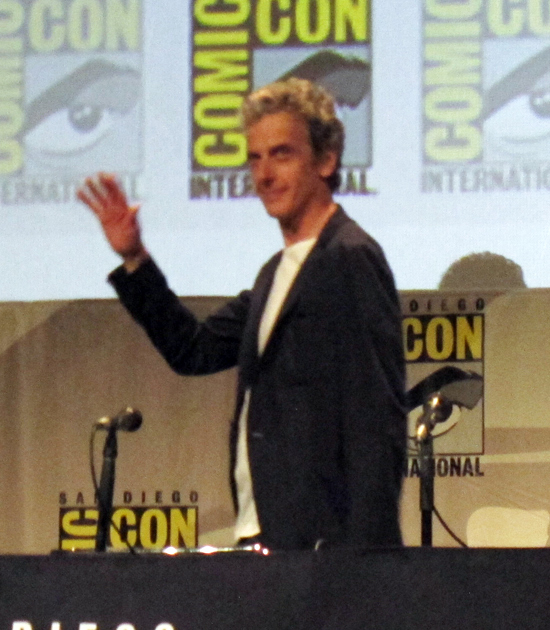 And so the popular comedian/podcaster stood in front of excited fans in Hall H to introduce Peter Capaldi for the first time to San Diego crowds. As had been clear from the night before, Capaldi was ready and eager to face his fans, and did so with an impish sense of humor. 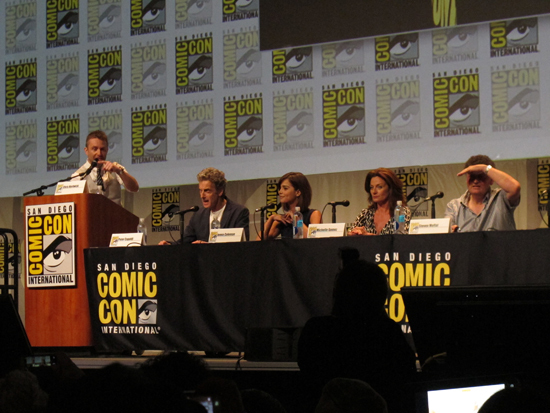 Perhaps no one can truly be prepared for appearing in Hall H, but Capaldi seems just as excited to be there as we are to have him. 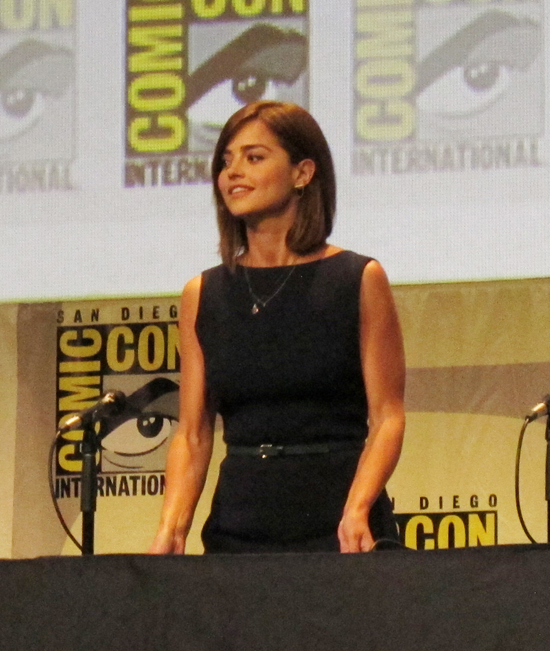 Of course, The Doctor brought his family with him, as Jenna Coleman (in her second Comic-Con appearance) and Michelle Gomez (in her first appearance as well) entered to thunderous applause. 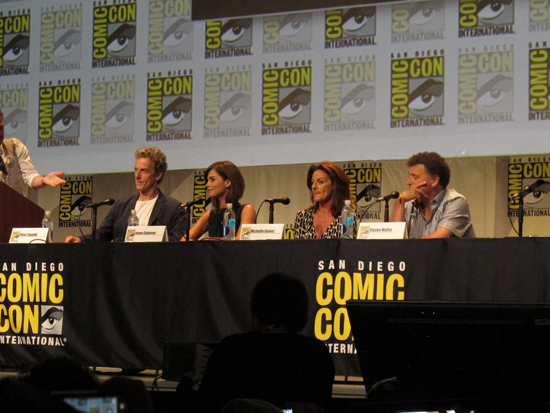 Following them was the mastermind, Steven Moffat, who seemed in a more talkative mood than usual. Unless, of course, he lied to us all along. 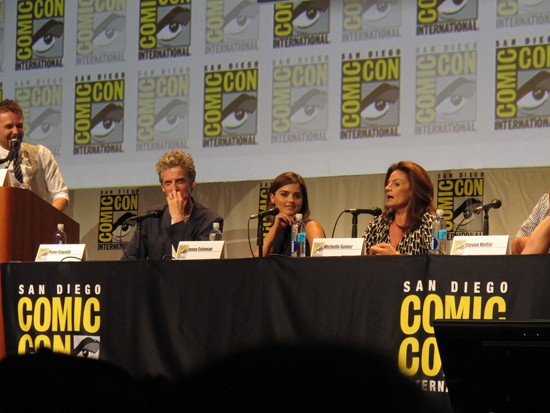 Almost immediately, the cast talked about how the Doctor and Clara are through all their difficulties, and are ready to take some joyous romps through time and space. Yes, it will be a happy-go-lucky season. 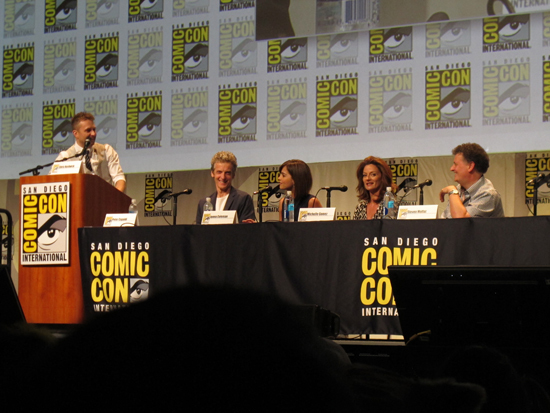 At least, we'd believe that if Gomez' character of Missy weren't along for the ride. A brilliant take on the character formerly known as The Master, Missy also serves as Moffat's nod to the idea that Timelords' genders are fluid. 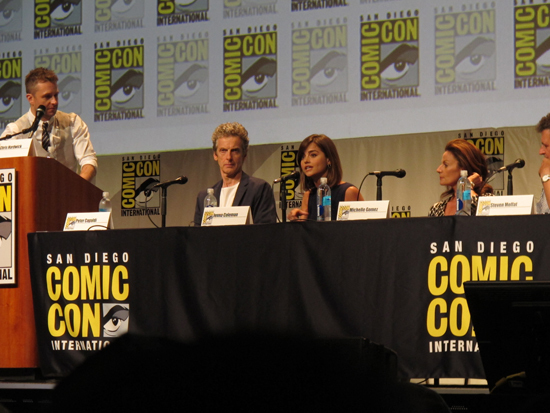 Despite much conversation about casting a female Doctor, Moffat admits that he has no timeframe for turning The Doctor into a woman. 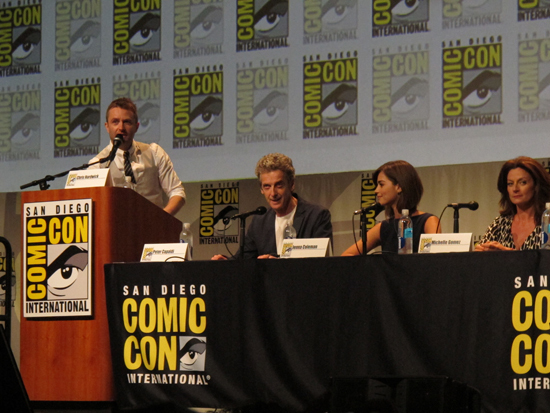 He considers it kind of unfair to Capaldi -- neither are in a hurry to change actors -- and a bit unnecessary in his eyes. 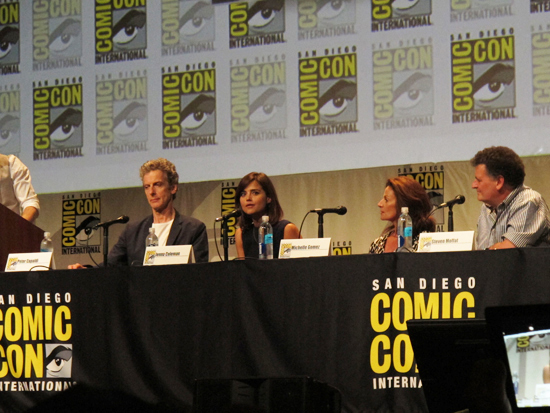 Moffat's hackles rose a bit at the question, but honestly, that's happened in just about every panel he appears on. The producer doesn't want to have to prove anything nor give away too many secrets; he just wants the work to be enjoyed. 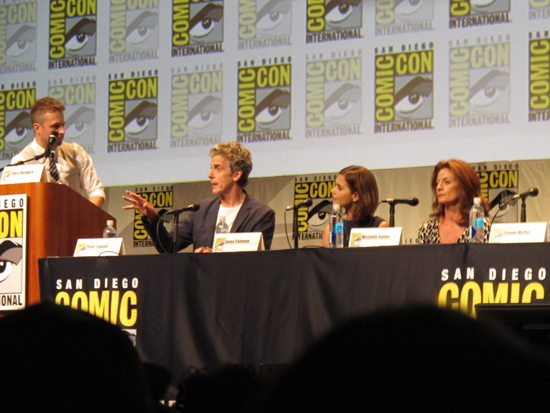 Despite that, the voice-over of Capaldi speaking in the trailer for Season 9 actually sounds more like something Missy would say -- "I want to kiss it to death" -- followed by a shot of Capaldi giving a coy shrug. Has there been a body swap? 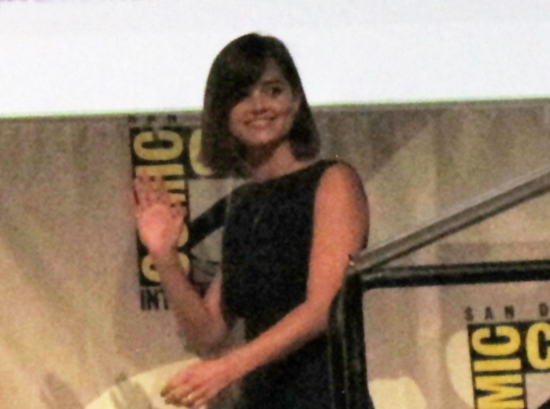 Is this Moffat teasing a little more of a female Doctor by pulling this bit instead of a regeneration? 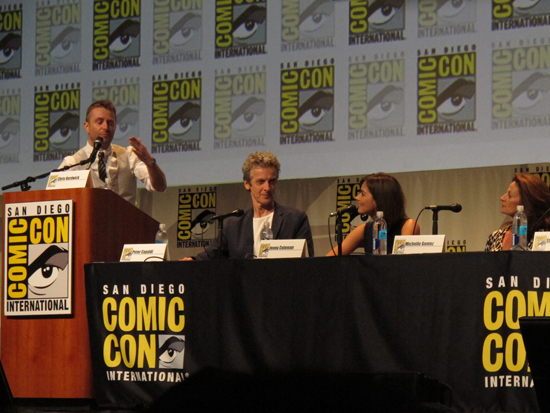 He did go so far as to say that Missy and The Doctor's "relationship" will develop. 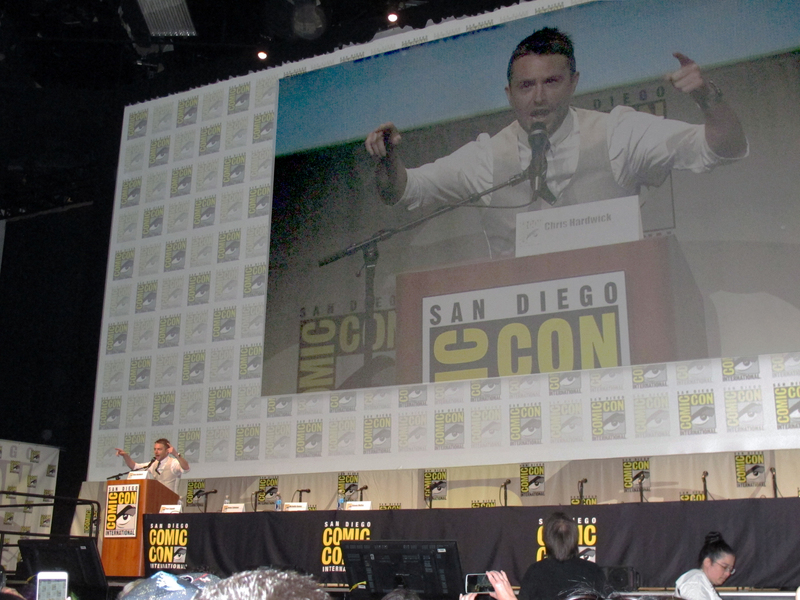 He got a little less coy when talking about a Doctor Who/Sherlock crossover. 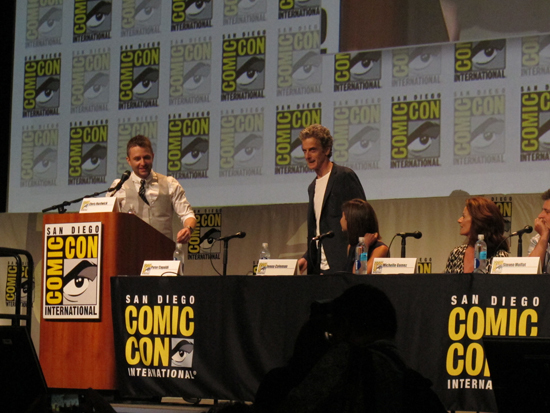 In fact, he almost sounded enthusiastic, as did the crowd. "We just have to find a good reason for it," he said, "and a good script."